For people on the business side, the key feature out of the above list is "Multidimensional." In other words, the ability to analyze metrics in different dimensions such as time, geography, gender, product, etc. For example, a sale for the company is up. What region is most responsible for this increase? Which store in this region is most responsible for the increase? What particular product category or categories contributed the most to the increase? 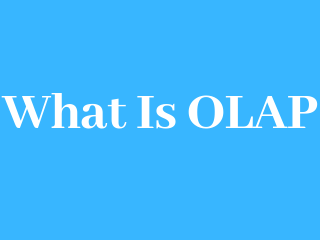 Answering these types of questions in order means that you are performing an OLAP analysis.